The $9.2 million one-year contract is for non-personal services to “accomplish the necessary functions to assist the establishment of U.S. Space Command as directed by the president of the United States." COLORADO SPRINGS — LinQuest Corp. was awarded a $9.2 million contract to assist in the establishment of U.S. Space Command, the Pentagon announced on Monday. LinQuest, based in Los Angeles, is a longtime support contractor to the Air Force Space Command and the Air Force Space and Missile Systems Center. The cost-plus-fixed-fee contract is a sole-source award to support Gen. John Raymond, who is the Joint Force Space Component Commander and has been nominated as commander of U.S. Space Command. The one-year contract is for non-personal services to “accomplish the necessary functions to assist the establishment of U.S. Space Command as directed by the president of the United States,” said a Pentagon news release. As Joint Force Space Component Commander, Raymond reports to U.S. Strategic Command Commander Gen. John Hyten. The JFSCC duties would transfer to U.S. Space Command once it’s established. The contract work will be performed by LinQuest at Peterson Air Force Base and Schriever Air Force Base, Colorado. 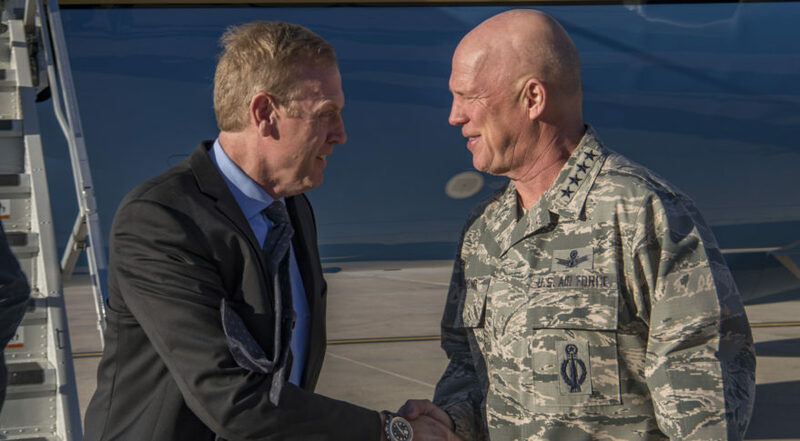 Peterson and Shriever are both candidates to be permanent home bases for U.S. Space Command. Headquarters personnel assigned to U.S. Space Command will initially be distributed across several locations where forces currently support U.S. STRATCOM, the spokesman said. These locations include Vandenberg Air Force Base, California; Offutt Air Force Base, Nebraska; in addition to Schriever and Peterson. The definitive location of U.S. Space Command will be decided after DoD completes a basing study. “After a thorough review and completion of required environmental analysis, the Department of Defense will select a location and work with Congress to make any needed infrastructure improvements,” the spokesman said. Factors that influence the selection include cost, operational and security requirements and staff relocation. Raymond was nominated on March 26 but no date has yet been set by the Senate Armed Services Committee for his confirmation hearing. According to sources, the committee was still waiting to receive the updated Unified Command Plan and a job description for the commander. The Unified Command Plan that details a command’s missions and responsibilities is a classified document prepared by the Chairman of the Joint Chiefs of Staff.